Since 2002 the Gravity Fest race has infiltrated the small town of Munnsville, NY. 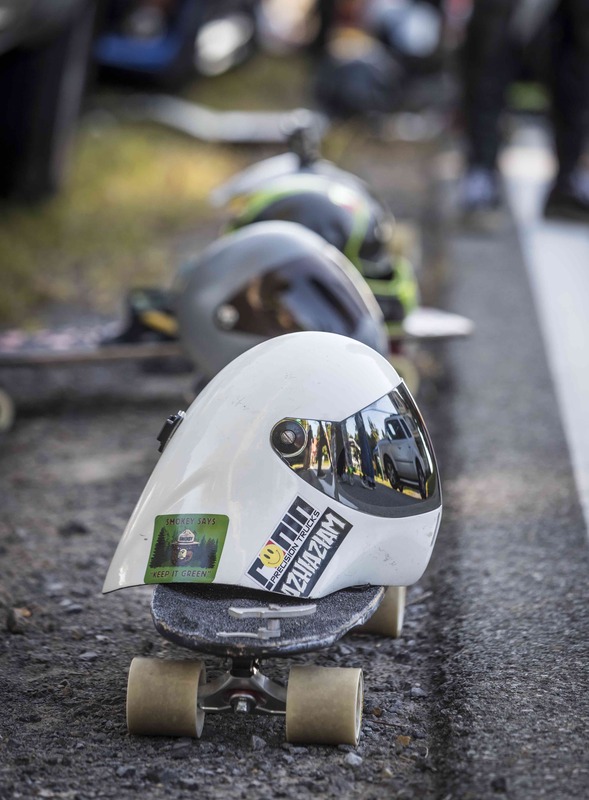 In the early days it was affiliated with EDI then later sanctioned by IGSA and now in the IDF circuit while being hosted by board member Mike Girard (Emgee Events). Regardless of these changes in sanctioning it has continued to be one of the longest running races in the world. Tim Koch leads a pack at Gravity Fest 2008. Although the race is old, it was disrupted by some young gun riders today. We kicked off the sunny Saturday with a few practice runs to get the riders acquainted with the hill. After lunch we broke into timed qualifying runs. 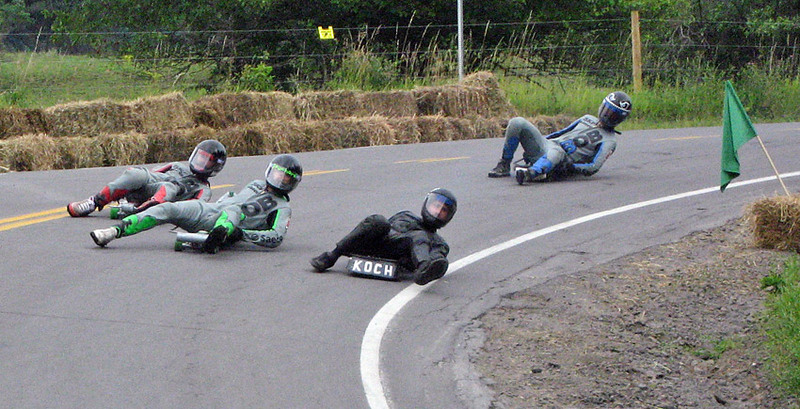 Luge riders line up for a practice run. It was a warm day in upstate New York so riders took shade where they could. Despite the hill looking somewhat mellow on videos many riders found it to be a surprisingly complex track. Riders approach the upper left 90* sweeper of the road at 45+ mph and your eyes have to stay peeled on the apex otherwise you're going into the hay. Following the right is a long rolling straight into crash corner. The corner isn't too difficult but having the right positioning into the corner will be crucial for racing as the finish line follows shortly after. Thiago Lessa pinning the apex of the upper left. Despite a few technical difficulties with rider transport we still got 10 runs in with practice and qualifying. Aero helmets are a common sight in racing these days. I mentioned 'young gun' earlier and it was no joke. It was Nick Brom's first year on the IDF circuit and he's been leading the Junior rankings as well making waves in Open. Today he further proved his place by recording the fastest qualifying time at Gravity Fest and getting the number 1 seat for tomorrow's race with a time of 1:46.83. This was slightly ahead of current #1 world ranked Thiago Lessa with the proceeding 5 spots being within 1 second of each other. 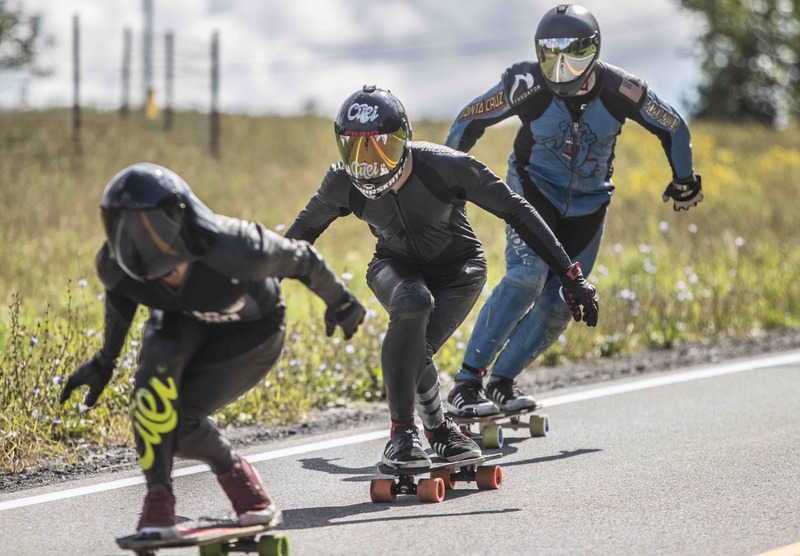 Nicholas Broms weaves through a pack with Pepe Laporte and Kyle Wester. In the luge division we had a strong presence from the US and Canada. 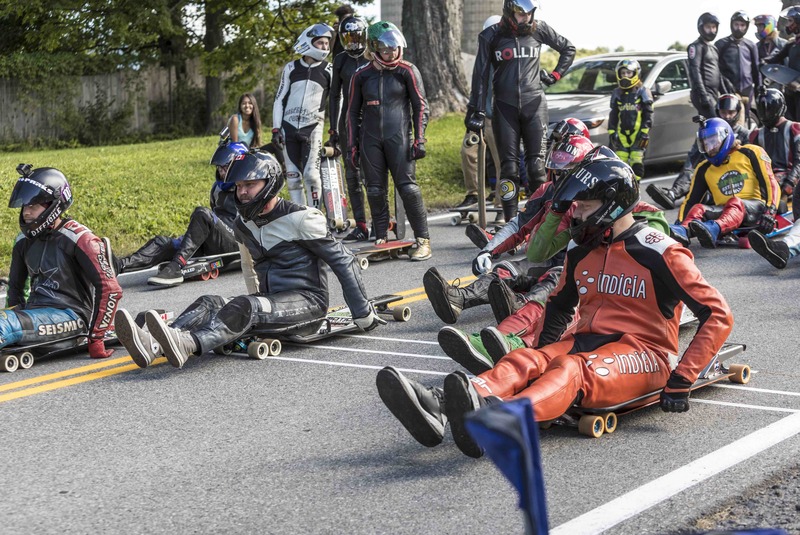 As I mentioned in a previous article, the East Coast has continued to bread a strong luge scene over the years. Luge #1 world ranked Kolby Parks took the first spot in qualifying with a 1:46.05 which was closely followed by Tim Koch with a 1:46.64. In the junior division Nick Broms took the top qualifying result along with his top result in Open division- something which we may have not seen since Connor Ferguson and other heavy hitter junior riders. 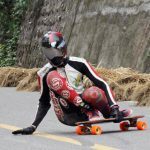 Following Nick was Matthew Antrum and Jacsen Kutik (10 years old and ripping hills). In the women division current #1 world ranked Emily Pross took the top spot with a 1:47.51. Following Emily was Cassandra Duchesne and Ashley Winecoff. We hope to see all theses ladies again next week at Killington. 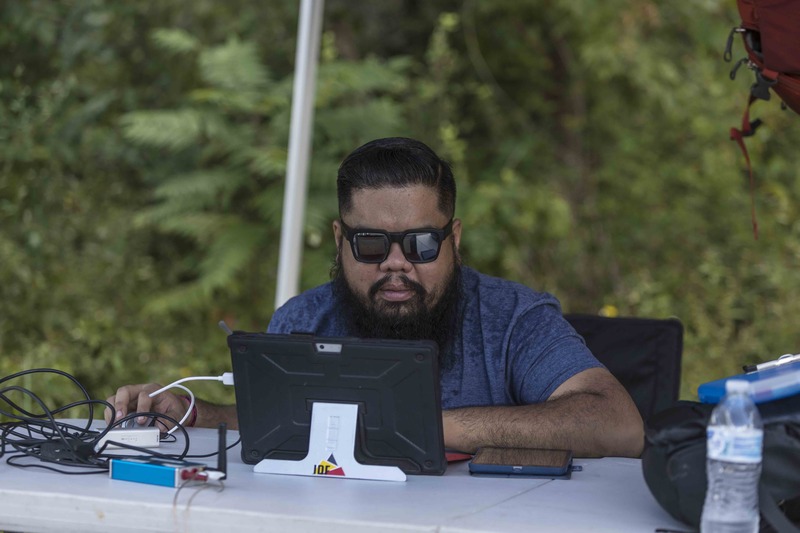 Carl Sambrano was busy making sure the timing ran smoothly all day long. Tomorrow is race day and as you can see from the qualifying times we're likely to see some tight heats and photo finishes. Below is the brackets for tomorrow's events. As always, catch more action on our Facebook and Instagram pages. Big ups to Emgee Events for bringing back Gravity Fest and hosting a fun filled weekend. All photos: Khaleeq Alfred - give him a follow.